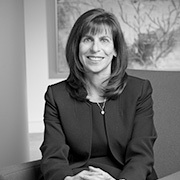 Gail Mandel is President and CEO for Wyndham Destination Network, part of the Wyndham Worldwide family of companies (NYSE: WYN). Wyndham Destination Network is the world’s largest provider of professionally managed, unique vacation accommodations – from houseboats and cottages to rental homes and timeshare resorts. Its network comprises more than 112,000 properties in over 100 countries and consists of a collection of renowned brands including RCI®, The Registry Collection®, Wyndham Vacation Rentals, Hoseasons, Landal GreenParks, Novasol, cottages.com and James Villa Holidays. Mandel has more than 20 years of financial and business experience in the hospitality industry. As President and CEO, she oversees the overall operations and strategy for the timeshare exchange and vacation rentals businesses. Prior to this role, Mandel held senior finance positions at Wyndham Destination Network, Wyndham Worldwide, Cendant Corporation and HFS Incorporated. She began her career in the financial industry at Deloitte & Touche as a senior auditor. Mandel received her bachelor’s degree from Pace University.